Foot injuries in hockey are skyrocketing. Shot blocking is becoming a key component of any hockey defense. Foot injuries from high speed shots impact professional careers and weekend warriors. 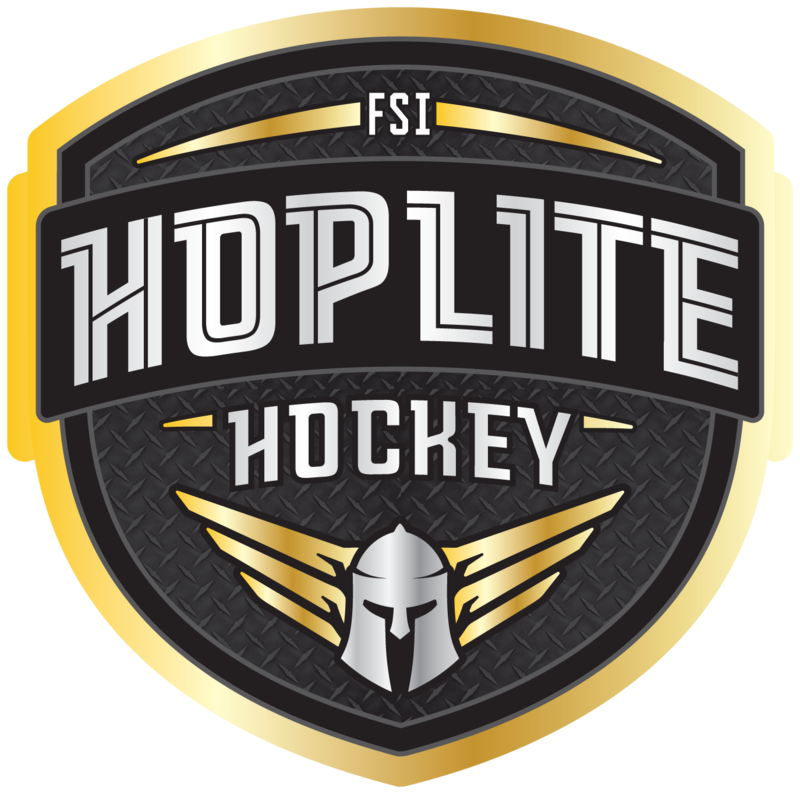 HOPlite Skate Armor’s innovative design makes it the world’s only high performance full-foot protection for hockey players who want to prevent serious injuries without compromising speed, comfort, and mobility. Shots blocked in the NHL doubled since 1998. In 2014 the average NHL team lost 252 man-games, and more than $7 million in salary per season due to injuries. A broken foot can cost the amateur hundreds or thousands in medical costs, and lost ice time. The cost is staggering—the answer is HOPlite Skate Armor. Your feet need protection. Protection from pucks traveling at incredible speeds. HOPlite Skate Armor is hockey’s highest performing outer skate protection—made of ultra-light (6–8 oz. 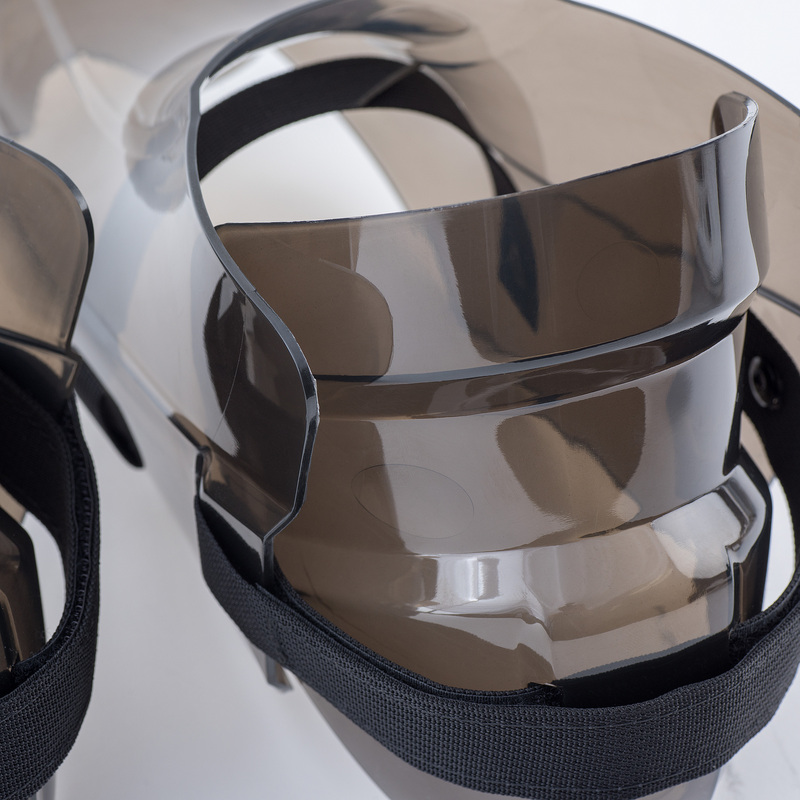 ), ultra-strong polycarbonate, designed to prevent serious and painful foot injuries. Injuries that can limit playing time, end careers, and make your dogs bark with pain. Skate smarter. Play harder. 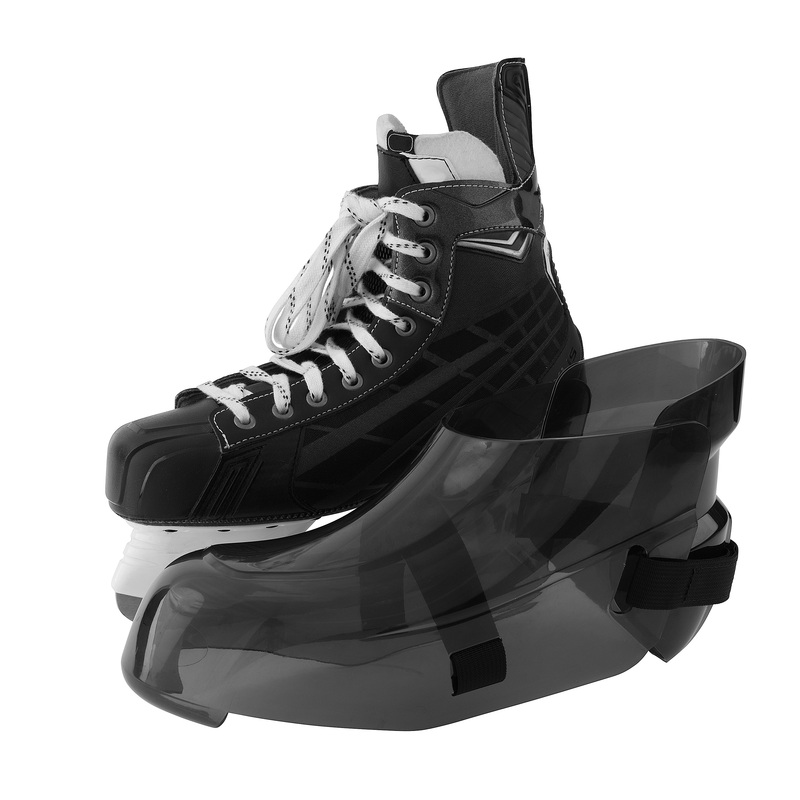 Insist on HOPlite Skate Armor, and protect your feet without compromising performance. 360 degree security—other designs provide partial coverage. Fits a variety of sizes and provides a variable cushion between skate and forefoot. Quick system uses a single velcro strap, keeping it securely in place. 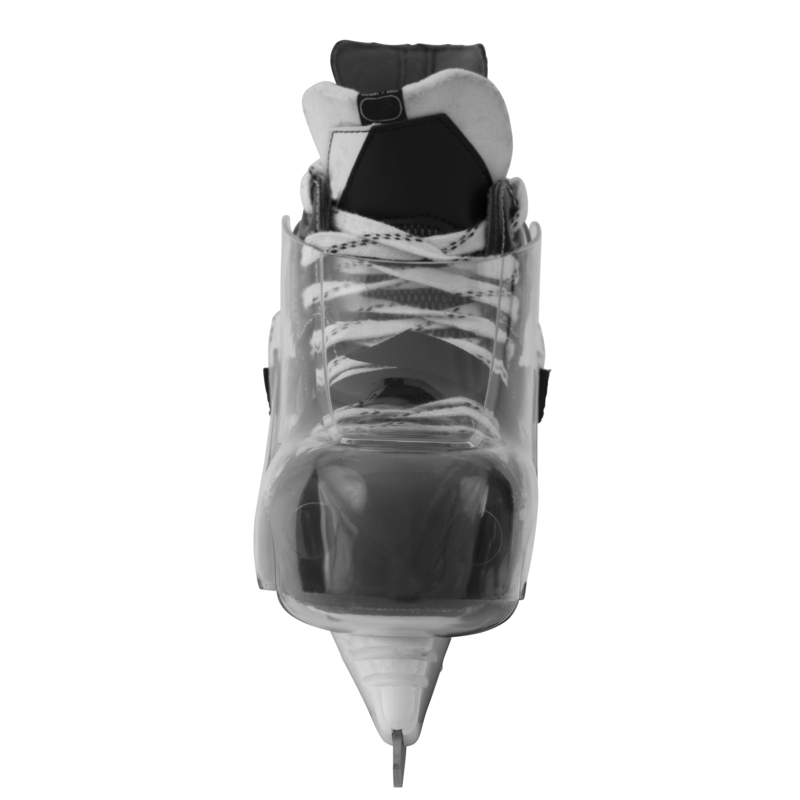 Three point contact suspends HOPlite over the skate, isolating impact and making it unnoticed on your foot. 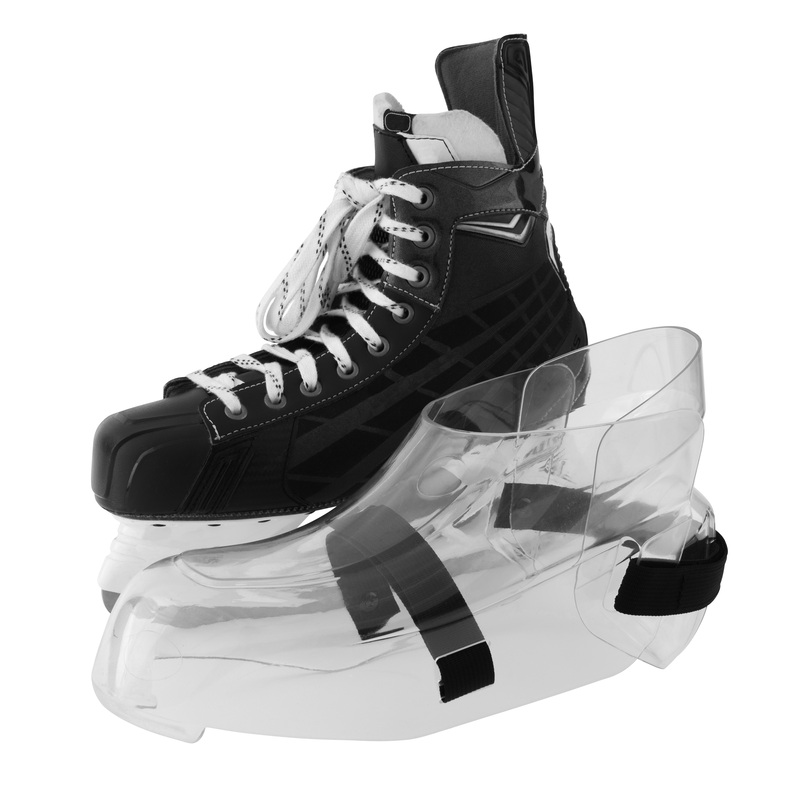 Unlike other products, HOPlite Skate Armor won’t obstruct skating if a strap were to fail, it falls away easily allowing play to continue. Production process allows for color and design personalization. Clear and smoke shown. You're brave. You're honorable. You're tough. As a hockey player, you know your role, but you have to be on the ice in order to do your job. HOPLite Skate Armor protects your two most important assets—your feet. You'll play through pain, but if you can't stand, you can't skate. And if you can't skate, you can't play. Period. So listen up weekend ice warriors, youth leaguers, student-athletes, and professionals. Stan strong. Skate fast. Do your job. Do it with confidence and do it well. Demand HOPlite Skate Armor.